The invention and development of the banking system started from Italy, most notably from Florence, and spread throughout Europe. In a parallel development, Renaissance art followed the same routes. 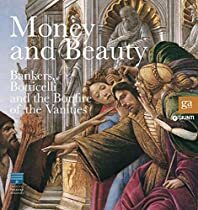 Masterpieces by Botticelli, Pollaiolo, and Lorenzo di Credi illustrate this interweaving of refined taste and financial interests in a great Florentine exhibition. The systems adopted by merchant-bankers to organize their international trade, the origins of modern patronage of the arts, relations between society and religion, and the conflict between amassing riches and heeding a summons to repent are analyzed and explained in the catalogue, edited by Ludovica Sebregondi e Tim Parks.